Tradition: it keeps us nibbling cringe-worthy fruitcakes at Christmastime, keeps us reliving nostalgia, keeps us in touch with the best of our past. Tradition has manifested itself in church. Familiar rituals, recognizable ceremonies, comfortable words oft echoed create a glow of security and understanding within a church service. 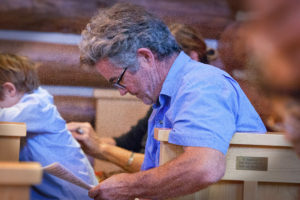 I have been enveloped in this glow many times sitting in the pews of St. John’s Episcopal Church in Jackson Hole, Wyoming. I know that, besides the riveting sermon, I can count on the warm familiarity of communion, the simple notes of praise with the choir swelling behind the melody, and — my favorite moment — the Lord’s Prayer. Growing up, when I impatiently attended church, I fidgeted until coffee hour — cookie hour for me. I listened to the sermon as best I could and tried to sing the hymns politely, but my 8-year-old mind wandered. The only part of the service distinctly engaging to me was the Lord’s Prayer. 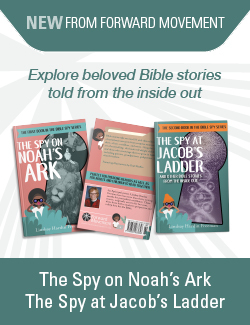 I had memorized it in Vacation Bible School. It was a special line of communication with God that made lots of sense to little me. As I grew older, I learned more about praying and conversation with God, but unfortunately heard less of those words from Matthew 6. When I began attending services at St. John’s, I remembered my love of that prayer. I often look ahead in the bulletin in anticipation and when the moment comes, I cherish every syllable. At services, the symmetrical wooden beams of the sanctuary arch over words, soft and soothing on lips that have sung and spoken them for longer than they haven’t, over hymnals held in the hands of many searching souls, over God’s people, worn by the world, but refreshed in His presence, reassured in the comfort of tradition. Among the familiarity, there is a sense of innovation, outreach, and a desire to grow the people who make up the church. The tradition does not exist exclusively, but jointly with transformation and flourishing belief. “The vast membership of the Episcopal Church are common people who love its beauty and its adherence to the ancient traditions and doctrine, while appreciating its deep involvement with the contemporary world and its language and needs,” reads the “Uniqueness” section of “Our Mission and Beliefs” on the St. John’s website. This rings true in my experience at St. John’s. In a world so rapidly changing and uncertain, it is a great comfort to experience consistency in aspects of life, especially within the church. Thank you, St. John’s, for the familiar traditions that fill the hearts of many. What tradition helps you grow as a disciple of Jesus? Beautiful article. It’s great to hear stories like this, about the different (and similar) ways we each find communion with God. 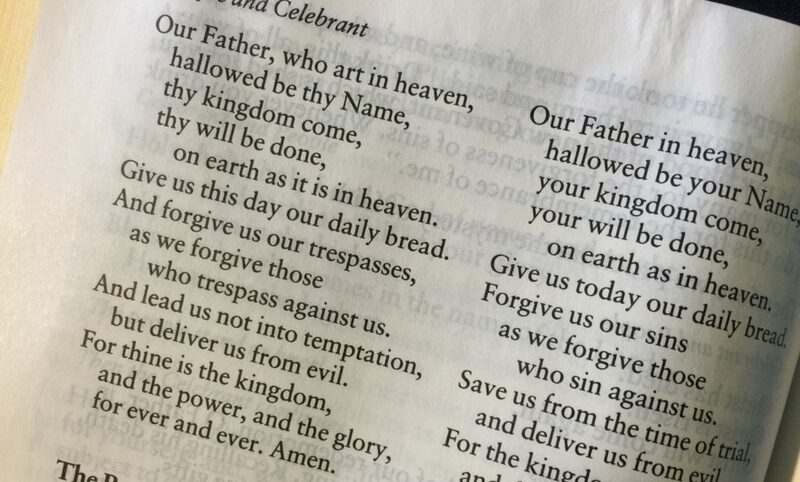 I love the Lord’s Prayer, too – as well as other bits of the service that speak powerfully to me in various ways. Can you “hear” that and not complete it? I do remember worshiping here so long ago. Loved the people. Used the Zebra book here. Now after time in Idaho and California we are in SW Georgia. My father has attended St. John’s his entire life. He loves it.